The first phase of Pearl Place, Google Inc.’s new campus in Boulder, is nearing completion, with mostly interior work remaining. BizWest/Doug Storum. BOULDER — Google Inc. has paid nearly $138 million in two transactions toward its new campus in Boulder. The Mountain View, Calif.-based company earlier this month paid $130,944,000 for a 3-acre lot and two buildings at the southwest corner of Pearl and 30th streets, and in January had paid $7,014,000 for an adjacent 1.3-acre lot still to be developed. 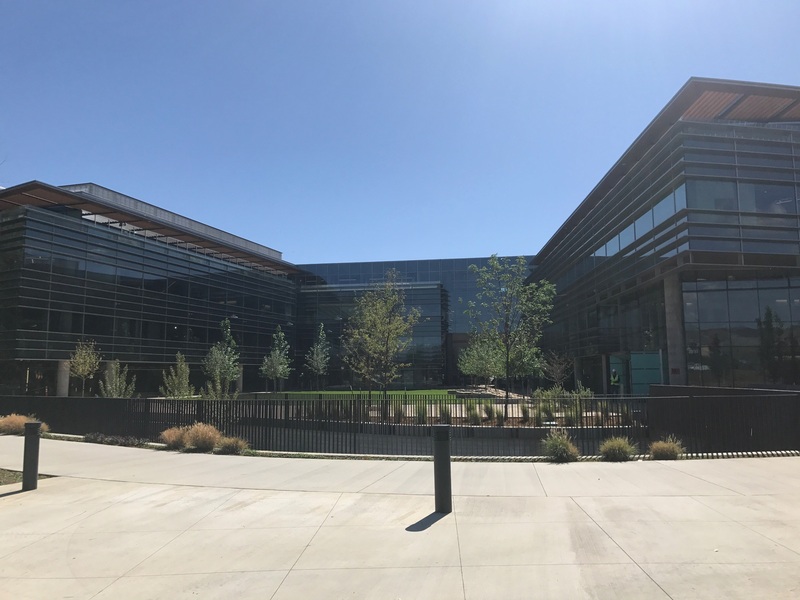 Google bought the property from Glendale-based Forum Real Estate Group that used the entity Pearl Place Phase I Vertical LLC, which recently was merged with Pearl Place Associates LLC, to make the transaction, according to Boulder County public records. The campus, called Pearl Place, is being built on a 4.3-acre site near the southwest corner of 30th and Pearl streets. It will consist of three, approximately 100,000-square-foot, four-story buildings. The first phase — two buildings — is nearing completion. The cost to develop the second phase — one building on the 1.3-acre site — has yet to be announced. The project enables Google to expand from its present 300 employees in Boulder to as many as 1,500 over the next decade. In 2015, Darren Fisk, founder and chief executive of the Forum Real Estate Group, said the group would lease the buildings to Google. Fisk on Wednesday did not respond to a request for comment. Editor’s note: This story was updated with a comment provided by Google’s corporate communications department on Sept. 21.